Have you ever dreamed of dancing down the world famous Main Street, U.S.A. at Disneyland? Dance the Magic with OC Dance will return in Fall 2018! If you would like to be on our interest list for the 2018 program please email OC Dance. We will notify you when registration opens! 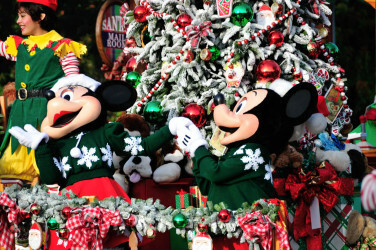 OCDP partners with Dance the Magic in December to do just that at the happiest place on Earth. Dancers get the full Disney experience spending part of their day playing in the park and the other half with DTM and Disneyland staff at the official backstage lot for rehearsals. 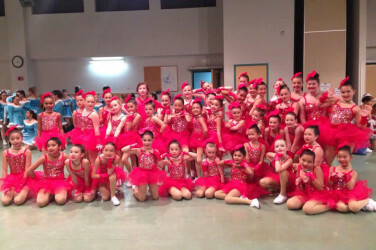 Dancers are VIP’s all day long and treated like royalty ending in the experience of a lifetime. *For more information on participating and package fees please contact OCDP directly. Registration begins each August. Dancers must be a minimum of age 7. Ages range from 7 to adults for parade. Please contact and plan early as event books quickly. Some talented young OCDP dancers from making us proud in the Dance The Magic Parade. OCDP Instructors Ms. Amanda F & Alexis, Director Kim, and Programs & Public Relations Coordinator Amanda were feeling the magic of Disneyland and so proud of their DTM dancers!